The long leasehold interest of Humphry Davy House in Rotherham has been acquired with residential conversion in mind. 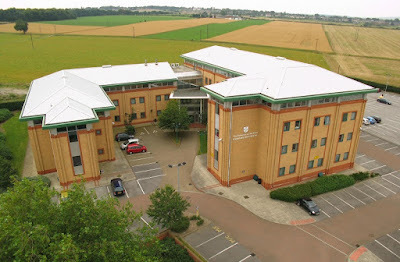 The 45,460 sq ft property was built for the University of Sheffield at Manvers in 1998 and was previously home to its School of Nursing and Midwifery. Rothbiz reported first in February that a planning application had been submitted signalling prior notification for the proposed change of use from an office use to dwellinghouses. The property has now been bought for an undisclosed sum by The Investment Room. Barnsdales acted for the buyers with SMC acting for the university. Jason Barnsdale, director at Barnsdales, said: "This has been a long and complicated deal which we have worked on for many months, the acquisition is one of many offices we have acquired for permitted development to residential use for a number of clients over the last 18 months and our clients are keen to find other similar opportunities." The Investment Room is an independent property investment company with offices at Stocksbridge in Sheffield. It offers cash investors an extensive portfolio of rental property in the Yorkshire area. Its sister company is The Lettings Room Ltd.
Humphry Davy House is already being offered to investors with 109 apartments at £8.2m with a potential annual rental income of £784,800, an estimated yield of 9.6%. The conversion is set to create five studio apartments, 99 one beds and five two beds, all newly built to a high standard. The new owners will need to secure planning permission after Rotherham Council refused the initial prior notification application, stating that it did not include any supporting evidence regarding its use (or lack thereof) over the last ten years. Adjacent to the Dearne valley College Campus, the site was previously occupied by the National Coal Board. Humphry Davy was a British chemist best known for his experiments in electro-chemistry and his invention of a miner's safety lamp. After the university pulled out of a tender process, the last intake of Midwifery Studies degree students was in July 2006 and the building went up for sale a year later. It has been vacant ever since.